테바는 늘 새롭고 알찬 정보로 고객님을 찾아가기 위해 오늘도 열정적으로 움직입니다. 테바를 통해 얻는 실속있는 정보들로 광저우 방문시 도움이 되시길 바랍니다. China could be a big winner if the Trump administration demands that 25 per cent of United States’ uranium demand is supplied by American mines, experts say. Currently both the US and China import more than 90 per cent of the uranium they consume. The US is, however, considering a 25 per cent domestic production quota for national security reasons. This would make an extra 4.5 million kg of uranium available on the global market, at a time when Chinese uranium buyers are scouring the globe for more purchases. “China would actually benefit from a [US] import quota. When the supply of uranium increases in the general market, the price will drop, which is good for big uranium consumers like China,” said David Bo, president AP Energy Investments, a Beijing-based company that invests in energy and mining. In January last year, two US uranium miners, Energy Fuels and Ur-Energy, filed a Section 232 petition with the US Department of Commerce urging the Trump administration to cordon off a quarter of the uranium industry for American miners. Section 232 is a piece of trade legislation which allows imports to be subject to duty if they are deemed a threat to national security. It was the clause under which US President Donald Trump slapped scything tariffs on imports of steel and aluminium last year. The Department of Commerce has been investigating whether uranium imports constitute a national security risk and is expected to make a recommendation on April 14, Politico reported this week. 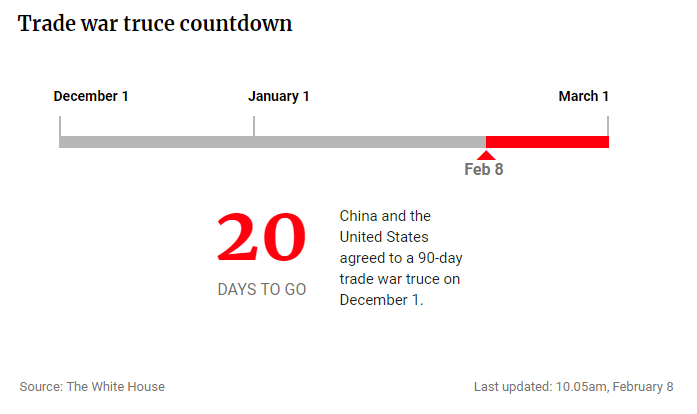 Trump then has 90 days to decide whether to enforce tariffs, based on the recommendation. Uranium – specifically Uranium-235, an isotope of uranium – is routinely processed for nuclear power generation and weapons. With both superpowers relying on imports to feed their consumption, it is becoming an increasingly aggressive battleground on the international resources markets, particularly in Africa, where they are jostling for dominance. In their statement calling for the production quota, Energy Fuels and Ur-Energy said that “China’s geopolitical ambitions increasingly threaten US national security,” and that it is “targeting us through the uranium mines of Namibia”, where some US supply is sourced. Data from the Energy Information Administration (EIA, a US government body) shows that the US uranium imports from Namibia fell from a high of 9.9 per cent in 2013 to 3.9 per cent in 2016 (2017’s data has not been disclosed). Meanwhile, China – through the China National Nuclear Corporation (CNNC) – has been hoovering up resources all over the continent, Namibia included, to the concern of US competitors. In 2018, the CNNC bought Rio Tinto’s controlling stake in the Rössing uranium mine in Namibia for US$106.5 million, adding to a stake in the Langer Heinrich mine, also in Namibia, bought in 2014 for US$190 million. In 2010, meanwhile, the CNNC bought a 37 per cent share in the Azelik uranium mine in Niger, worth US$300 million. “What seems to worry some US uranium mining companies is China's gradual acquisition of foreign uranium resources through overseas investment and joint ventures,” said Tong Zhao, a fellow at the Carnegie Nuclear Policy Programme in the Carnegie-Tsinghua Centre for Global Policy in Beijing. 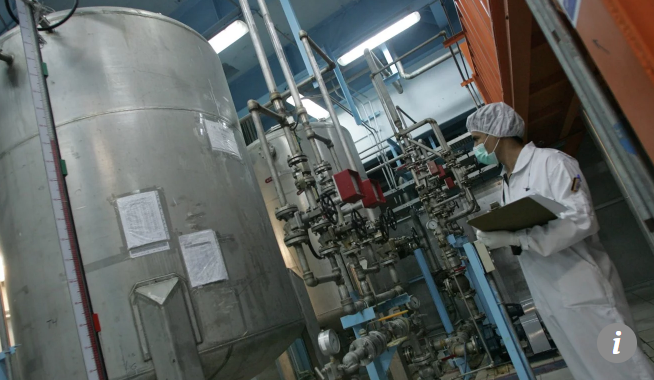 These facilities are helping to feed a growing need for uranium in China which, In 2016, China was the fourth largest consumer of uranium in the world, behind the US, France and Russia. However, it is set to overtake the US as world’s biggest consumer by 2030. The World Nuclear Association estimates that China’s uranium demand in 2020 is expected to be over 11,000 tonnes of uranium (tU), rising to 18,500 tU in 2025 and 24,000 tU in 2030. China now has 46 nuclear power reactors in operation and 11 more under construction, according to International Atomic Energy Agency statistics, putting it top of the agency’s list of countries “expanding” their nuclear power operations. However, Zhao doubts whether its growth is a national security risk for the US, whose 98 operational nuclear reactors dwarfs China’s current total. 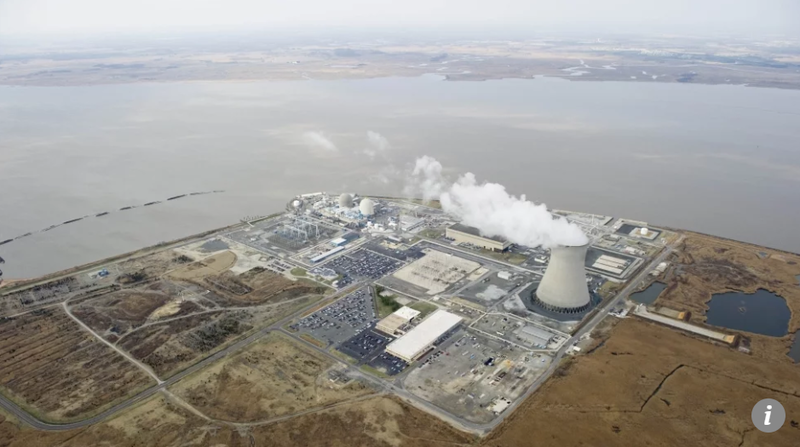 Trading organisations in the US have argued that a 25 per cent quota would be a disaster for the US nuclear industry and result in huge increases in electricity prices. A former senior official at the CNNC, meanwhile, implied that demand for uranium could usher in another front in the US-China trade war. “The US, along with its allies, may try to restrict China’s nuclear power expansion since China has world’s largest number of nuclear power reactors under construction,” said the source, who asked to remain anonymous given the sensitivity of the subject matter.